Hello dear friends! 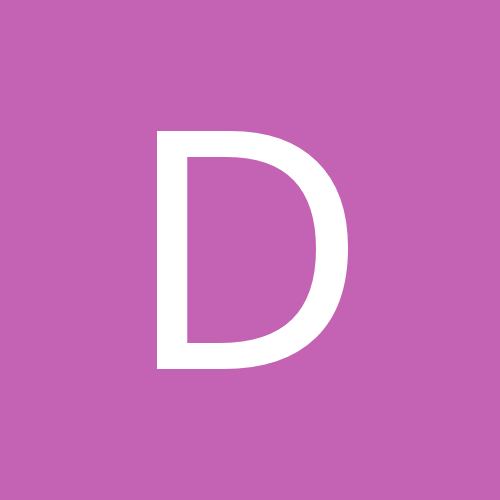 My name is Darek an i'm an autodidact leatherworker from Poland. 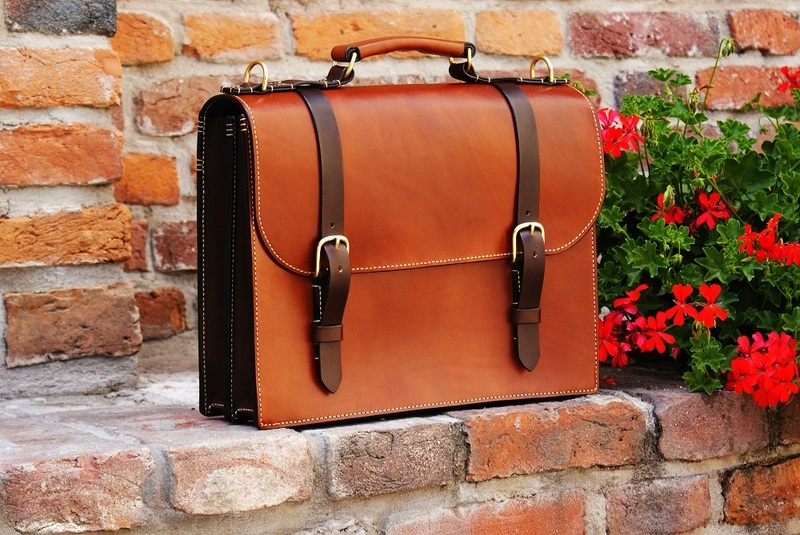 I want to introduce You a briefcase I made one year ago. 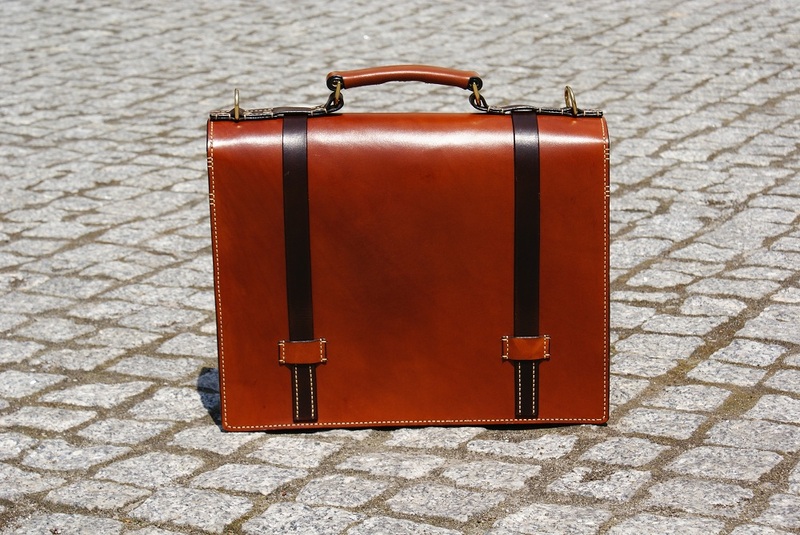 This briefcase is made from 2,8mm hand dyed, veg tan polish leather. 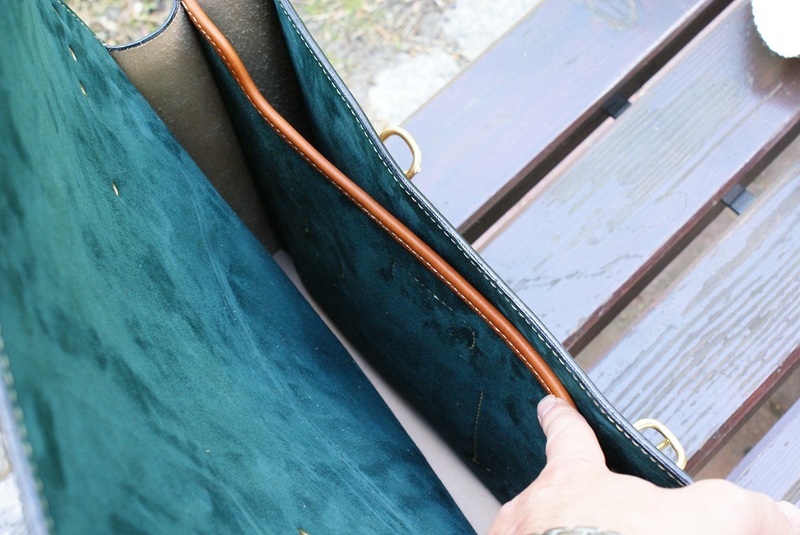 The interior is lined with italian goat suede in racing green color. Hardware are solid brass made. All is 100% hand stitched with 1mm thread. I hope you like it. I am open for any critique from Your side. Interests:Making interesting stuff, out of canvas, leather, fabric. Vacuum forming, hot foil, bookbinding, woodwork, and old Singer sewing machines. 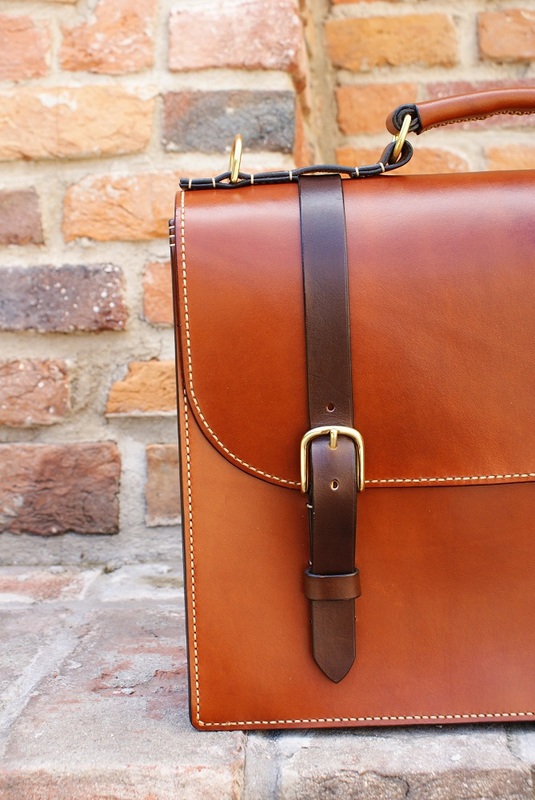 That is a lovely case, and I do like the quality of your work. 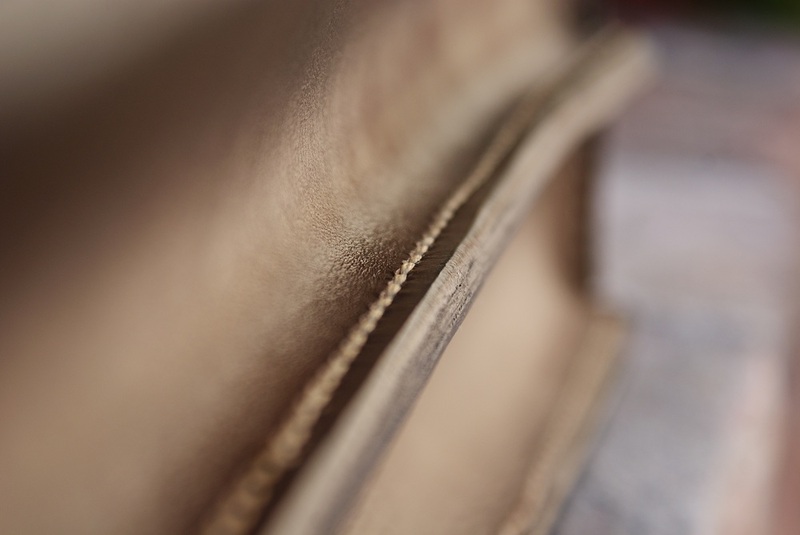 How much is leather in Poland? 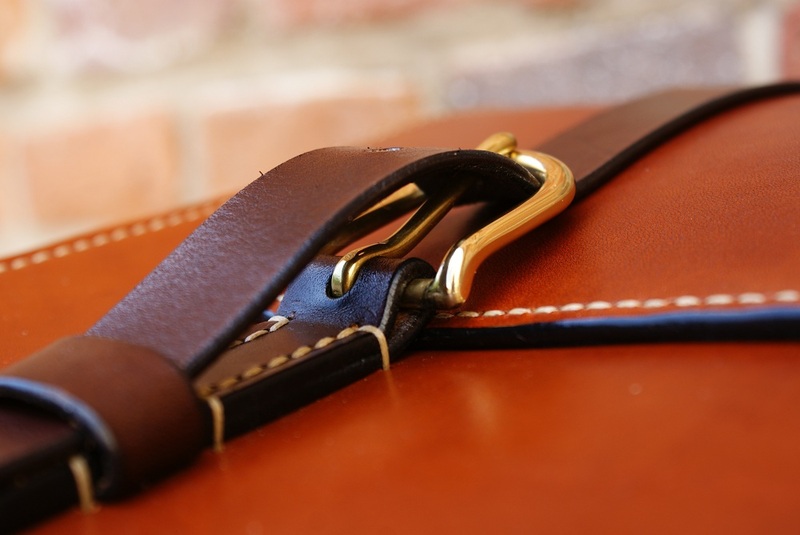 By this projeckt I use leather from bend. One double bend in nature color this is a cost circa 150-170 euro in the first class quality. Looks very nice! love the colors on the outside (would use some other color inside, but just personal preference). Ok, now I'm really sad. Because jealousy does not look good on me, and right now I can say I am not looking good. Really cool work, great use of colors, nice lines, very useable. In short, I love it, and I am wishing I I could say I had made something like that! 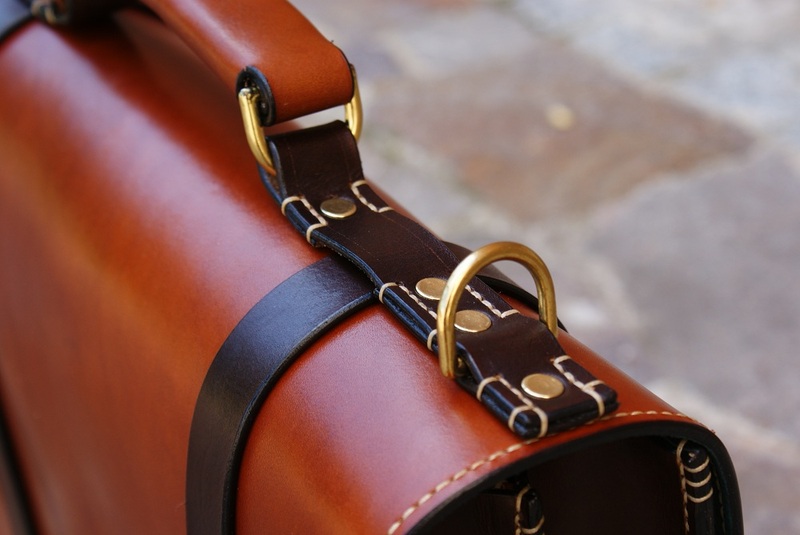 Very nice work the bag as well as the pictures! Some things are really expensive in Poland. Is that including shipping or the price at your local wholesaler? 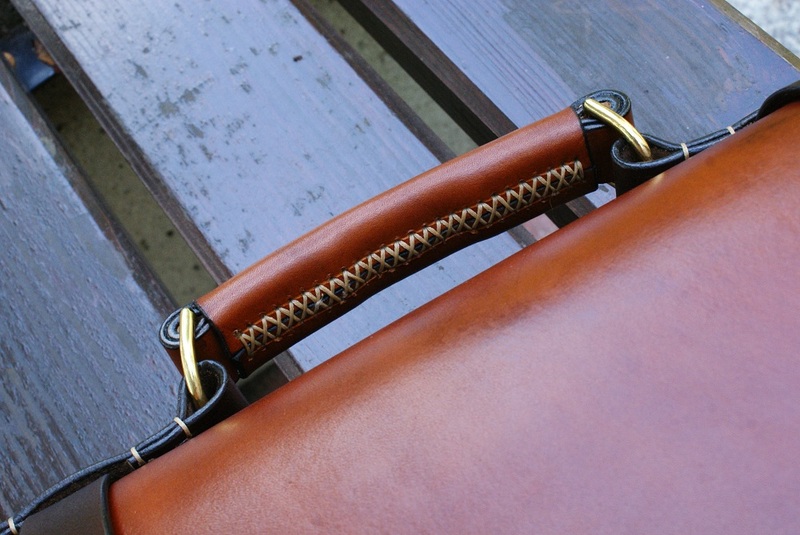 Did you add a metal bar between liner and outer shell for the leather that holds the d ring? Do you think it is necessary? Also does the d ring for the handle suppose to be used in that orientation? What stitching punch do you use? One piece of information I read on handles, only on the inside piece (touching the actual D ring) is to have the grain side touching the ring. Because it is a very high stress area it would need the most strength, so naturally the grain side is the first option. Grain is stronger than flesh. I don't buy there. Too expensive for what I need and want. Most of my veg tan comes from Spain, which is top notch quality. The last double-bend I bought through my wholesaler was 1.6 m² and 5 mm thick at 120 EUR. We should see a little price drop by the end of this year in Europe. I doubt it will last for very long, but this should be the result of this year's dryness. Yes I do that. In my opinion it is very important. Otherwise leather could tear at this place. I don't use them I use a overstitch wheel in size circa 6 spi. 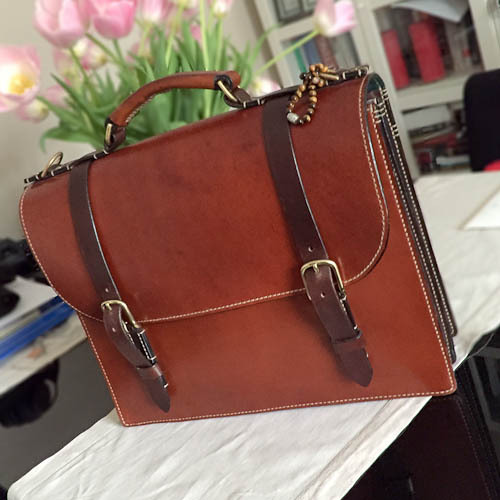 This is how look this briefcase after one year of use. 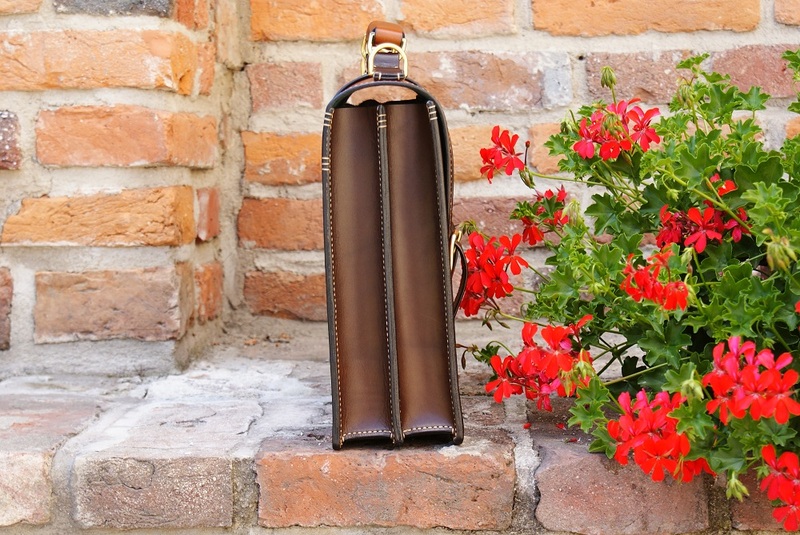 Wow, I love this bag!! 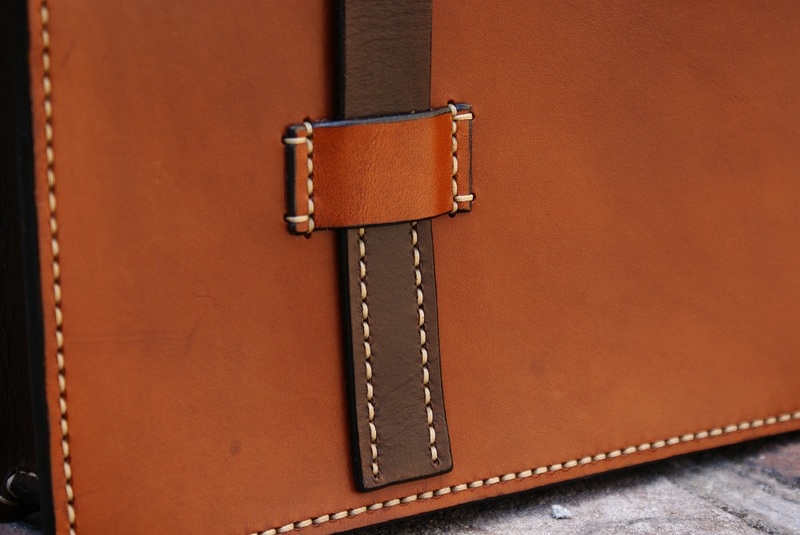 I'm think of making my first briefcase. I love the two tones. Interests:Belts, motorcycle seats, and keeping on learning.